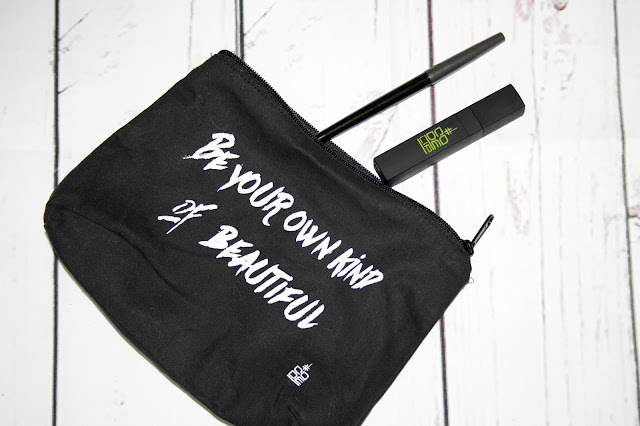 CODE Beautiful is a new brand on my radar and it has made quite the impact with the two latest releases from what I have come to learn through research is a huge collection of products. CODE Beautiful is all about creating must have hero products for women, those handbag essentials we can't live without. The first product, CODE VLM (Volume Lengthening Mascara), launched in 2014. Fast Forward to 2017 and these new products are all about the lips, CODE LIP a lip plumping treatment and CODE SSL a soft smooth lip liner gives us fuller more volumised lips, in a natural way. CODE SSL Soft Smooth Lip Liner (£18 here) has been created for defined, volumised and hydrated lips. Lip Liners are one product I am hopeless at remembering to purchase and I have 4 in total, including this one. I have been using it since it arrived as it cleverly goes with every lip product I am wearing right now and what I love about it is how soft it is. On the lip it glides on and is as soft as a lipstick, it doesn't drag across the lips and it is pigmented enough to notice it, but not so much so that it takes away from that lipstick. It doesn't feather, there are no harsh lines, it is blendable and once applied it does not budge or smudge! It is self-sharpening, so a perfect tip each time and whilst there are no parabens, the ingredient Maxi Lip, a natural peptide which helps to stimulate collagen and provide a corrective and restructuring care for the lips. CODE LIP Lip Intense Plumper (£20 here) is described as being as Insta Plumper on the go! I have always wished for slightly bigger lips, but am not ready nor feel I need to go down the route of Lip Fillers, so if a product promises me the chance to do that, I am wanting to try it! This product contains a magic ingredient which goes by the name of Hilurlip, and it contains a blend of lip treats such as Hyaluronic acid, Tripeptide-1, and Dimethicone. This exclusive combination is said to help redefine the natural contours of the lips and create a more youthful, sculpted look. Hilurlip also contains compounds that protect the lips from sun damage and helps minimise the appearance of small vertical lines. This Lip Plumper has a rosy pink tone to it and Code Beautiful say they have chosen this shade because rosy pink nudes make your lips look larger and it also works effortlessly with the Code Soft Smooth Lip Liner and the two compliment one another. The ingredients of coconut oil, sweet almond oil and castor oil are also used alongside a quite noticeable minty scent which when applied to your lips makes them tingle whilst feeling quite cool at the same time. The tingly effect lasts for around 15-20 minutes before it subsides and it is not at all uncomfortable, it doesn't burn or sting, it is actually quite soothing. Does it plump my lips, well yes it does slightly but only I have noticed but what it does do is really nourish and moisturise and is not at all sticky, usually one of my main complaints with products like this. It also works well on its own or over your lipstick. By way of an introduction to CODE Beautiful, I am really impressed with what I have seen. Really lovely products which are beautifully presented and as a further treat you can order one of the Limited Edition CODE MEK My Essential Kit makeup bags (£16 here) which is big enough for your make up for travelling with, it is fully lined with a sturdy zip and there is a choice of slogans - mine saying "Be Your Own Kind Of Beautiful" which I love. If you haven't yet come across CODE Beautiful then you need too, it is such a kooky little brand that is hard not to love! I love that makeup bag! I wonder if my wife would like this... I'm gonna have to get her to check it out! That lip liner is stunning! The lip liner sounds fab. It's great that it doesn't drag and is so soft. The shade looks lovely. The lip products look stunning!!!!!!! I love the look of the lip plumper! Looks lovely for Spring. I haven't heard of this brand before, love the makeup bag. I haven't heard of this brand before but both products sound great! Such an interesting brand and concept too! Not heard of Code before but that make-up bag is too cute! Love finding a new brand to try! I've tried the CODE Mascara before and it was pretty good. These products look great too! I love the colours of the glosses and that bag is fabulous. I really like the sound of the lip liner, especially the fact that it doesn't drag.